It’s National Party policy to abolish the Maori seats but John Key says not on his watch. Abolishing the Maori seats would rip the country apart and attract “hikois from hell”, John Key said. Speaking to the Herald last week before the release of Nicky Hager’s book Dirty Politics, the Prime Minister said that while it remained National Party policy to abolish the seats, even if he had enough numbers to do so, he would abolish them only with the agreement of Maori. Whether you were on the Maori roll or the general roll everyone got two votes. 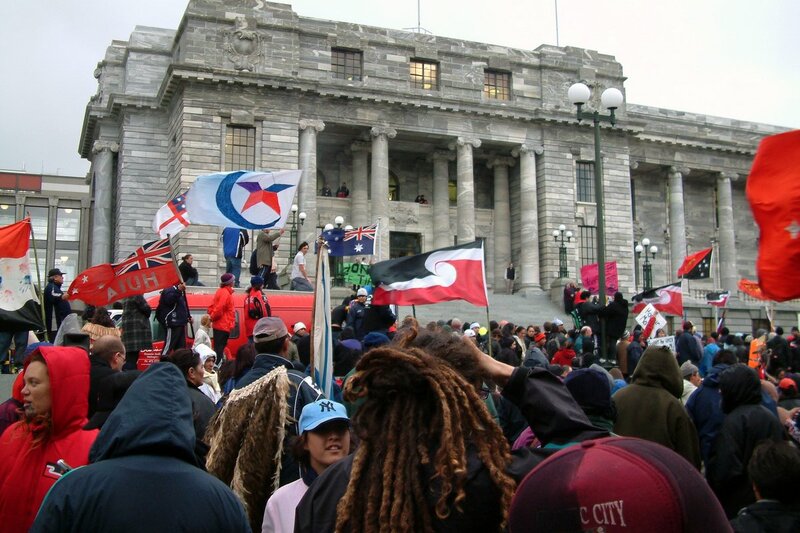 While abolishing the seats has been long-standing policy for National, Act and United Future policy, the Maori Party’s confidence and supply agreement with National saw it parked as an active issue. But even if the Maori Party were not in the next Parliament, Mr Key has in effect protected them. But I agree with John Key. Having a Maori electoral roll as well as a general electoral roll is not, in itself, racist. It is merely arbitrary. Everyone gets two votes, regardless of which roll they’re on. What’s racist about the Maori roll is that only Maori get to choose whether to be on it or to be on the general roll. If we opened up the Maori roll to non-Maori, there’d be no racism. And no problem. Because we have to divide the country up into electorates somehow. (Or do we?!) Dividing the country up geographically is arbitrary. We might just as well divide the country up according to the age of the voters. It would be instructive to do so. Who would win the 20-year-old’s seat? Who would win the 60-year-old’s seat? Now we’re talking ageism, instead of racism! Key’s more important point is that abolishing the Maori seats today would lead to “hikois from hell”. That’s a euphemism for blood on the streets. Do we really want to trade a harmless anachronism for violent civil unrest? Retaining the Maori seats is the small price we pay for keeping a lid on the simmering resentment of some Maori towards the descendants of the colonials whom they believe inflicted a holocaust on their ancestors leaving them disadvantaged to this day. Retaining the Maori seats is a good social insurance policy. Much like retaining the dole. The dole costs [from memory, I might come back and edit this figure] $18,000 per year per beneficiary. Incarceration costs [again, this figure is from memory] $90,000 per year per inmate. If we abolished the dole, there’d be a crime wave tsunami as an army of unemployed, suddenly bereft of income, found thieving (and worse) ways to make ends meet. Kiwis, beneficiary and non-beneficiary alike, would suffer. So let’s not abolish the dole, mmmkay? Let’s be clear. The productive and colour blind are being held to ransom. In paying the dole and retaining the Maori seats, we are complicit in perpetuating unjust systems of social welfare and racist democracy. But what choices do we have? Remember, too, that people’s welfare is a consideration that must temper considerations of justice. Okay, now I look forward to my co-bloggers dumping on me from a great height. See the comments section below. A very reasonable post. Have you come the full libertarian circle now? You’d be doing well to get $18K p.a. off the dole. Invalid’s benefit is around $260/week (i.e. $13,500 p.a.) and the others less. Of course, if you add administration costs etc. maybe it’s higher. The question of Maori seats is IMO an admin issue. Yeah but I respond well to questions. What’s happened? Have you taken a pragmatic pill? Remember, too, that people’s welfare is a consideration that must temper considerations of justice. I think this is false. Compassion for an offender or third party is not grounds to deny justice.